The only way your market will be truly successful is if it’s a great public space. When we surveyed customers about why they love markets, the number one reason was because they brought people together. People love food, people value contributing to their local economy- but more than anything, people love being near other people. So if you're a market manager, what can you do to foster that? 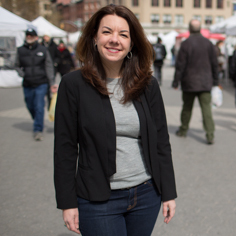 Making places where people like to hang out with each other will directly benefit in dollars. Have public goals: how does this place contribute to the community?Operate in public spaces- it can be privately owned but customers should not pay to get inServe locally owned and operated businesses The best public markets confer a number of great public benefits. Research from the Ford Foundation shows public markets confer multiple benefits to the communities they serve. 3. Markets have to evolve. You can’t just create a Pike Place overnight. It took 100 years for the market to get to what it is today: a thriving market district. Markets emerge from a series of incremental additions- often through many lighter, quicker, cheaper projects. When you start thinking holistically about markets as great community places- and not merely as outlets for produce- it’s easy to see how markets can become the heart of a neighborhood. 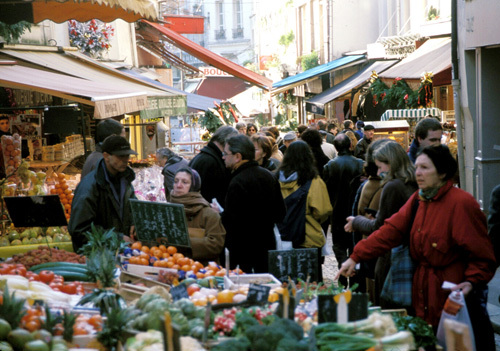 The busiest, most successful markets are places where people want to spend time together. But they can be more than fun: by strategically clustering public services and activities, markets can actually contribute to community health. Markets that cluster fresh food and health services in an environment where people want to come together to spend time are Healthy Food Hubs. Healthy Food Hubs offer many benefits, especially in lower-income or disenfranchised communities without grocery stores where there is little or no access to fresh food. Healthy Food Hubs are markets where you might also find cooking demonstrations, health information, a shared-use commercial kitchen, job training, health care, community space, community gardens, and a restaurant or cafe, etc. Healthy Food Hubs were the cornerstone of a concept PPS put together for our work in Birmingham, Alabama. Additional resources Check out PPS’ research on public markets and these highlights and take-aways from the Maine Farmers Market Convention. Meg MacIver contributed to this post.